NOT Upgrading my Fly Delta App to version 4.6 SAVED ME last weekend! 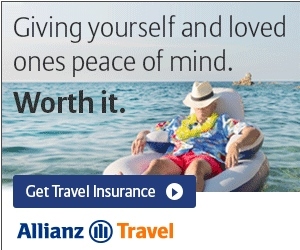 No thanks to auto-checkin Delta! Ever since I stated blogging over 6 years ago I have been really hard on Delta IT. Considering the 3 mega total system meltdowns over the past few years I think that is more than justified. But also, as a user, I dislike so many of the things they do. To be fair I know many of the changes, or lack of changes, are due to the crushing and horrid SkyMiles team that intentionally breaks what once worked like a Stradivarius violin. For example, back in the day you could search segment by segment for a LEVEL 1 (low level back then) award and then once you found them all plug them in one by one and Delta.com would spit out the correct price for the ticket all at that low award price. Today, even on simple 2 segment awards, you get an error. Ridiculous, but again why I am so hard on Delta’s often incompetent IT. 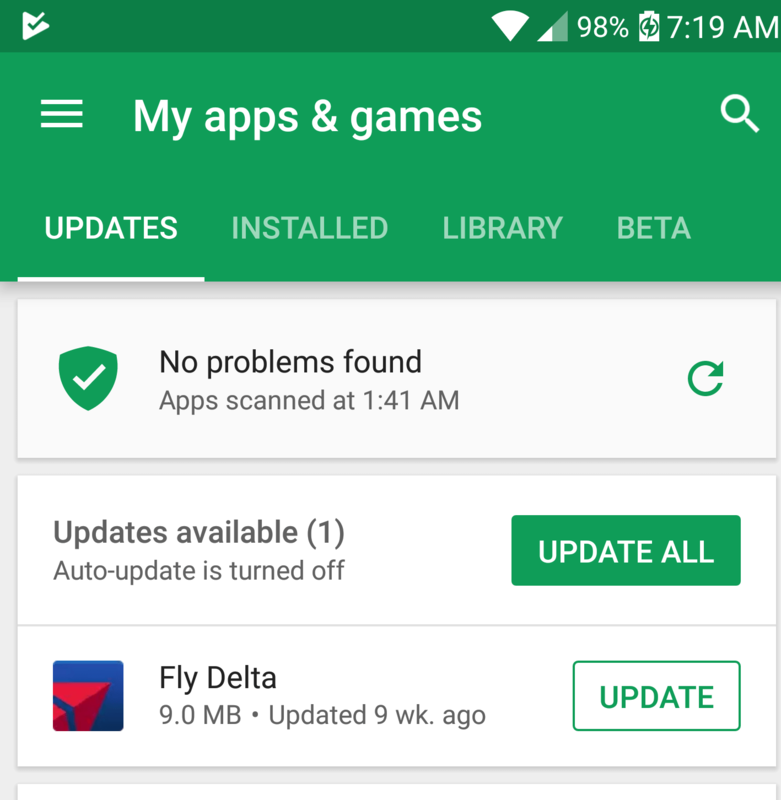 Back to the reason for today’s post and a timeline of what happened to me and just how bad things could have gone had I upgraded to the horrid latest Fly Delta App 4.6 that “auto” checks you in when you fire up the app (making it a much less useful tool). My wife and I returned from our amazing NCL trans-atlantic cruise last Saturday morning docking in port Canaveral. We took a GoPortCanaveral $15 bus ride to MCO (Orlando) and had a great lunch with some very dear friends who came to pick us up at the airport. I had booked a late flight, all in paid 1st class, so there would be no stress. I had also taken the steps, like I always do when I fly, to go into the Fly Delta App and follow not just my flight but the incoming flight that would become my flight. This is a great way to be able to check when things start going wrong even before Delta alerts you that your flight has been impacted (and a great tool inside the Fly Delta APP). I started to see that the flight coming from Detroit to Orlando was delayed a little. Not a big deal and there was weather in the DTW area so I was guessing that was the cause. Since Delta always pads their schedules I was confident a short delay was no big deal and I had well over an hour to make my connection in DTW. But then the delays got worse and worse. Delta began letting me know about the delays via email and the app. I was offered a chance to click the app to look at alternative choices. I clearly was not foolish enough to go clicking on anything. Why? First off I had already been wise enough to look at all the alternative routes ahead of time. None of them were acceptable choices. Only the one I had purchased was the one I wanted. I waited and things got much worse. As the delay of my arriving jet grew Delta IT, in it’s infinite wisdom, no longer offered me the choice inside the app to choose other flights but simply rebooked me on flights I had zero interest in that included an overnight. This is where the auto check-in comes into play. Thanks to NOT running the latest 4.6 version, when I opened the old 4.5 version of the app, I was NOT auto checked in for my “new” not wanted flights. I was able to call Delta reps and request these Delta IT booked flights NOT be the flights I was on but the original ones I was booked on (the reps even warned me NOT to click on anything inside the app). Here is why this really matters. As things turned out, the delays of my inbound aircraft was NOT due to weather but a mechanical issue with the aircraft. Translation is that Delta would be on the hook if I missed my connection i.e. hotels, meals and such and not me as it would have been if I had chosen to accept the flights either manually or by simply opening the app (if running 4.6) and checking in for my “new” flights. Plus, as it turns out, they made up a ton of time and it was looking AOK to make my connections. Sweet. But then things went bad again. Boarding took forever. Then, after departing late from the gate, there was an issue with timing and “paperwork” and we had to park for about 15 minutes to sort it all out. Bottom line, we landed a few minutes after my night flight departed. I give Delta credit, not for all the delays when it looked like things would work out after all, but that they did pay for a hotel and dinner as they should have due to the mechanical issues. But the bottom line of all of this is the Fly Delta App 4.6 by taking power and a useful tool out of my hands, had I been auto checked in, I would not have had the choices I had nor would Delta have been on the hook when things ultimately went wrong (due to them, not me). PS – Be sure to check back after lunch some time for this week’s SWAG Saturday giveaway! UPDATE: You may need to either A) uninstall the VER 4.6 before you can install the older 4.5 Fly Delta App or B) you may need to allow files from “unknown sources” as you see from the shots above. Also, be sure you turn off auto-updates for your apps or in a short time you will again auto update to 4.6. ← Final thoughts: Will the Delta One Suites last & is the Premium Select “too good” or not good enough? Where can I find the steps to delete 4.6 and load your 4.5. @Lee R – With Android simply uninstall the app and then click the link to the backup APK of the 4.5. It should auto install. If you had accepted, especially inadvertently, the changed flights, would you be able to call delta and have a rep change the flights to what you wanted, not what it gave you? I always check the inbound flight to get the same info you do. Something I learned all by myself but knew to check because of the help you’ve provided in the past. Thanks! @Sarah – Maybe but would have been a fight as checking in IS accepting new flights. @Jack – As mentioned in post yes they paid for hotel and dinner. Did not ask for more. That was what was needed to correct situation. Is there a way to de-select the automatic check-in option in the app for iPad or iPhone? Thanks. Does v. 4.7 correct this issue? @Finnsailor – 4.7 is only for iOS so can not test on Android to let you know. Reports on FlyerTalk with iOS is hard to find just WHERE the opt-out is?? ?